The Holy Land is our principal destination and it is unusual for someone to only travel there once. Most visit two or three times, some make an annual pilgrimage. Repetition is an age-old feature of pilgrimage. You visit the same places but the experience changes every time. 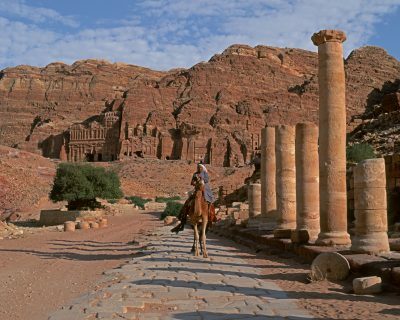 We offer a choice of Holy Land itineraries with departures throughout the year. The best times to travel are Spring and Autumn, avoiding the heat of July and August. Getting to know the Living Stones of The Land is an integral part of every McCabe itinerary and your pilgrimage might include worship with a local congregation, a visit to Jeel al Amal Boys Home or lunch at the Bethlehem Rehabilitation Centre, just two of the projects supported by the McCabe Educational Trust. Our visits give encouragement and practical assistance to a community which now numbers less than 3% of the population of the Holy Land. 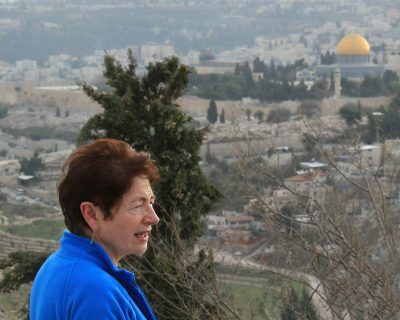 McCabe recommend an 8 day itinerary, based in Jerusalem and Galilee, however we also offer a more relaxed 10 day itinerary. Our shorter pilgrimage is perfect for a first time visit to the Holy Land, and contains all the major sites you would expect to visit, while keeping the cost down and accessible to many. The longer itinerary is great to offer variations on our standard programme. A popular addition is an optional excursion to visit Masada and float in the Dead Sea, or allow some to enjoy a free day in Jerusalem. We work closely with partners in the Holy Land to provide you with the best possible pilgrimage experience. McCabe have tried and tested programmes on offer, along with partner hotels that have been looking after our groups for over 30 years. We also have an excellent agent in Jerusalem, making sure all arrangements go smoothly. Our preferred coach company and our guides act as our eyes and ears on the ground. A seven minute introduction to a Holy Land pilgrimage. A longer version is available for group meetings. 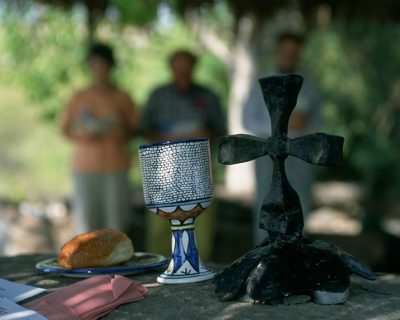 Spend four nights in Jerusalem, followed by three nights beside the Sea of Galilee and visit the major places associated with the life and ministry of Jesus in a surprisingly relaxed manner. For people with more time available for their Holy Land tour, an extra two days or more will open up more options including perhaps a free day in Jerusalem or an optional excursion to Masada and the Dead Sea. 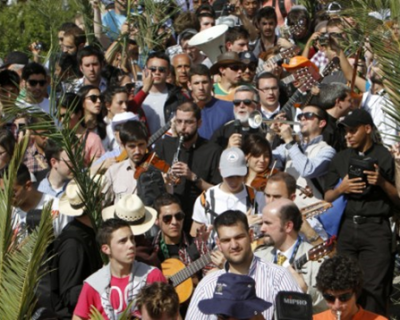 It is always very moving to make a pilgrimage in the Holy Land, but never more so than during Holy Week, with the opportunity to participate in the joyous Palm Sunday procession.